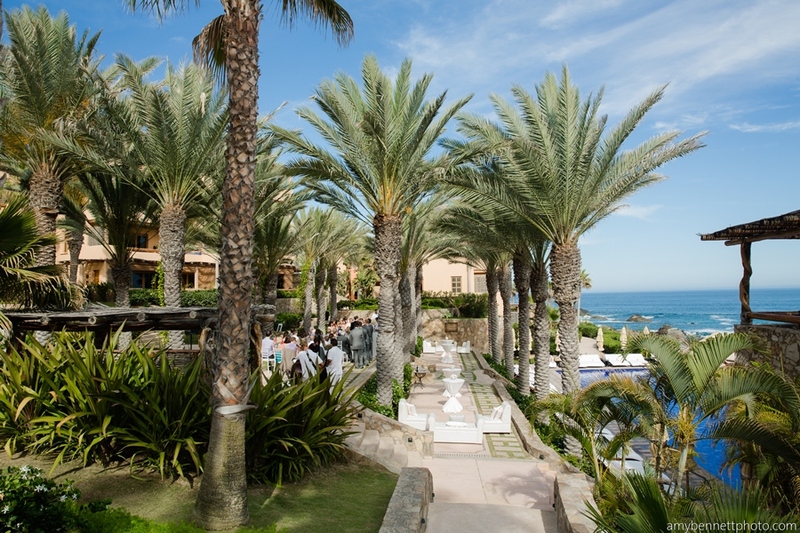 A world away from your day-to-day worries, the Esperanza Resort is one of our favorite destination wedding locations here in Cabo. 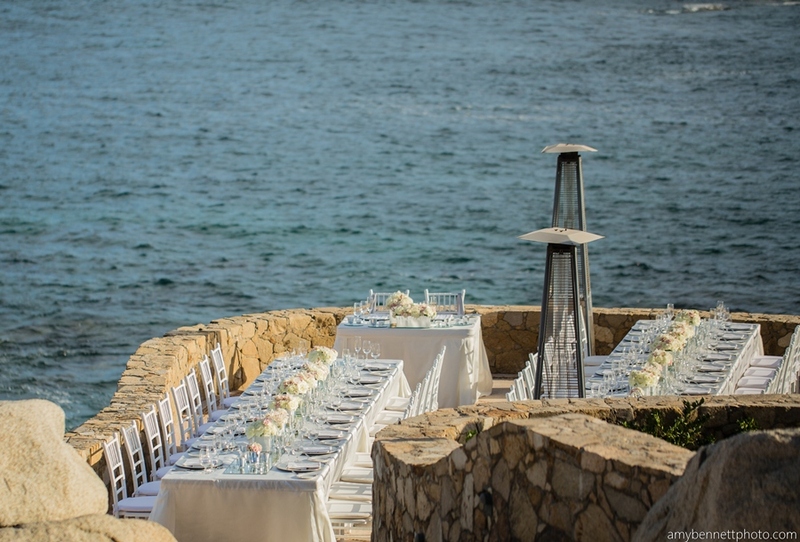 This property has everything you could possibly want for your ceremony and reception—stunning ocean views, attentive staff and picture-perfect outdoor design. Philadelphia bride Stephanie hosted her May wedding at the beautiful luxury venue and the details couldn’t have turned out more perfect! 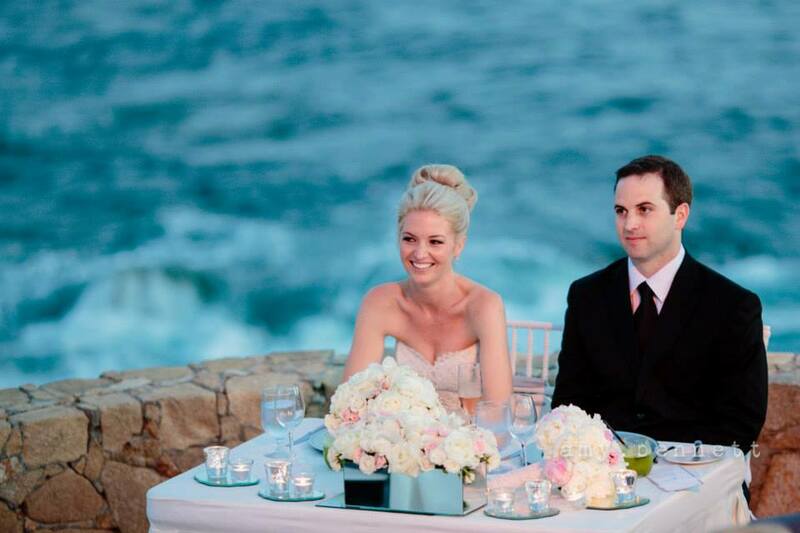 Stephanie was an organized, decisive bride who was happy to be involved each step of the way as we planned her romantic upscale wedding and reception décor. 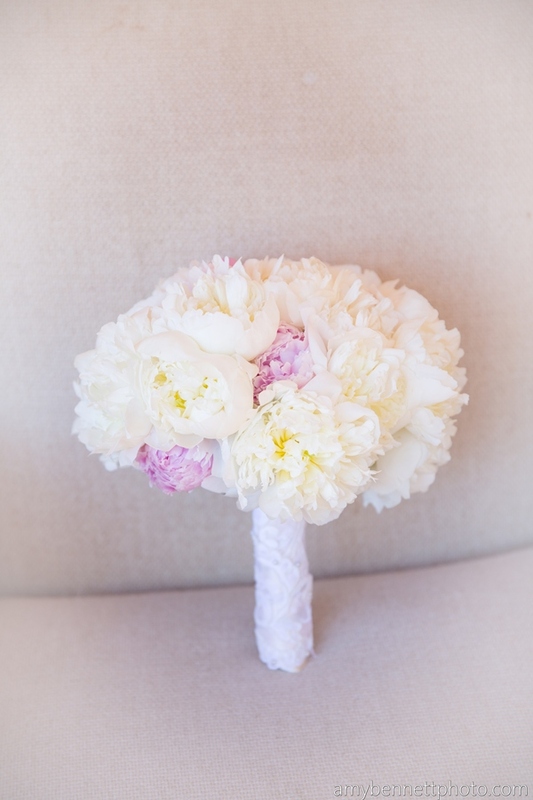 Thanks to her input and our detailed execution, the results were one of our best wedding designs to date! We customized a mirror table runner for this reception that gave the candles a unique glow. 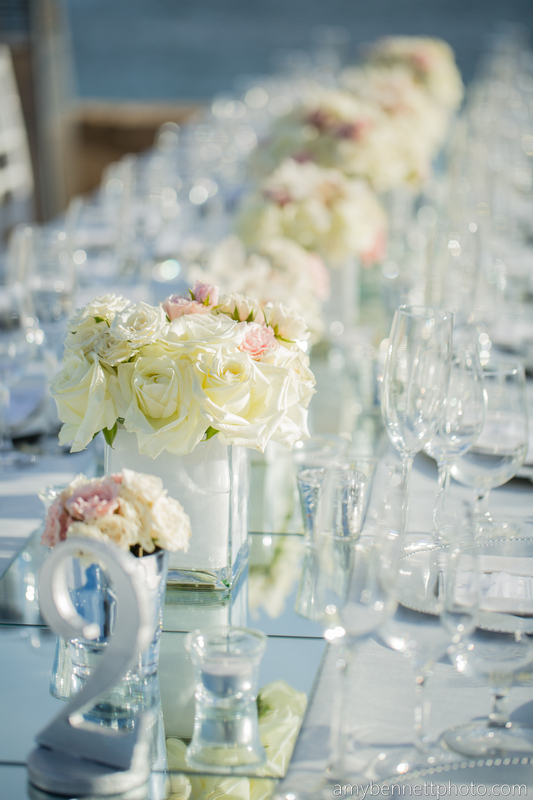 The mirror runner really accented the crisp, clean style of this table setup. 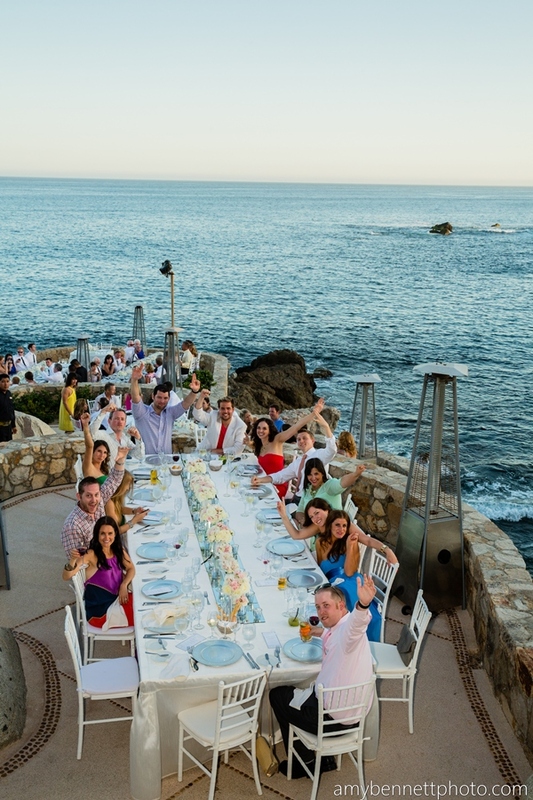 This entry was posted in Accessories and decor, Cabo event design and decor, Cabo Floral Studio, Esperanza Resort Cabo, High end set-ups, Linen collection 2013, Suzanne Morel, Wedding flowers Cabo, wedding locations in Los Cabos and tagged Cabo Flora, CABO LINENS, cabo wedding, destination wedding Cabo, high end wedding, Wedding decor Cabo, Wedding design, Wedding Esperanza resort, Wedding photography Cabo.